Honestly – where did July go? It feels like it’s only just been yesterday that I uploaded my July Favourites. My mind was so not focussed on writing up the next favourites that I hadn’t even made a list in my head yet of what I want to show you this month! A little behind the scenes: I actually ended up going through my phone images to remember everything that happened in the past 4 weeks, ha! Is my brain getting old yet? I also realised that some of the products I tried and loved this month I already ate up and don’t have a package to hand to take a photograph, so excuse me having to resort to some extra imagery to show you. As you can see the wraps got to good use with my breakfast taco recipe – the natural sweetness of the sweet potato wraps really worked so well for a sweet breakfast-y recipe and it was also super low effort as all I needed to do was get the wraps out of my fridge. I’ve wanted to try these wraps since I first saw that they won a Free From Award in 2017 – but hadn’t spotted them in a shop yet. At the Just V Show 2018 it was finally time though: BFree had a stall there and they were selling them at 3 packs for £5, so I took the chance and was not let down! I’ll definitely be picking them up again when I stumble across them in a store! 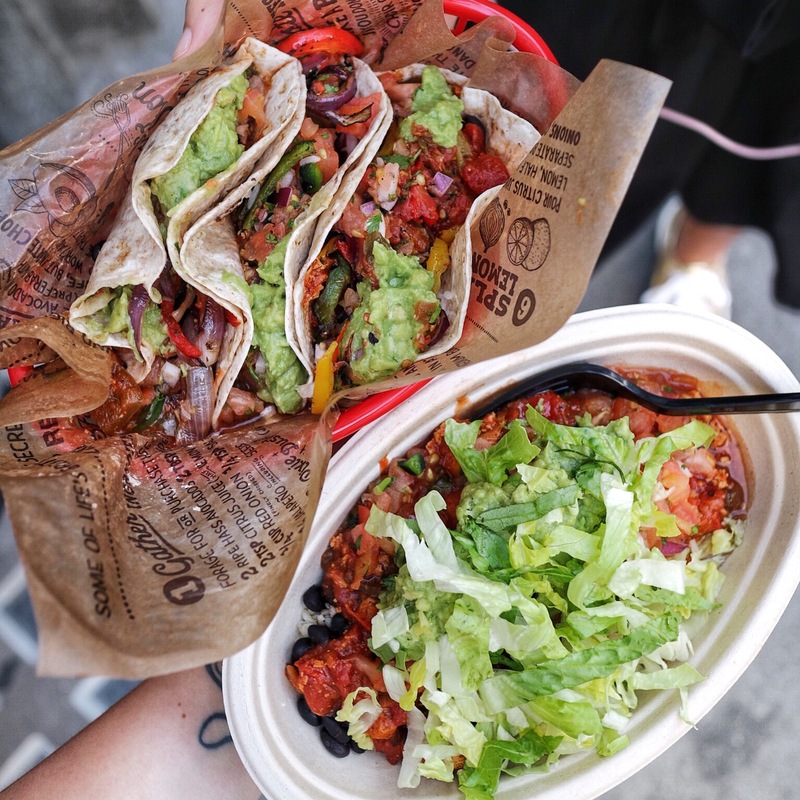 July was an exciting one as Chipotle finally launched a vegan protein on their menu: braised tofu! 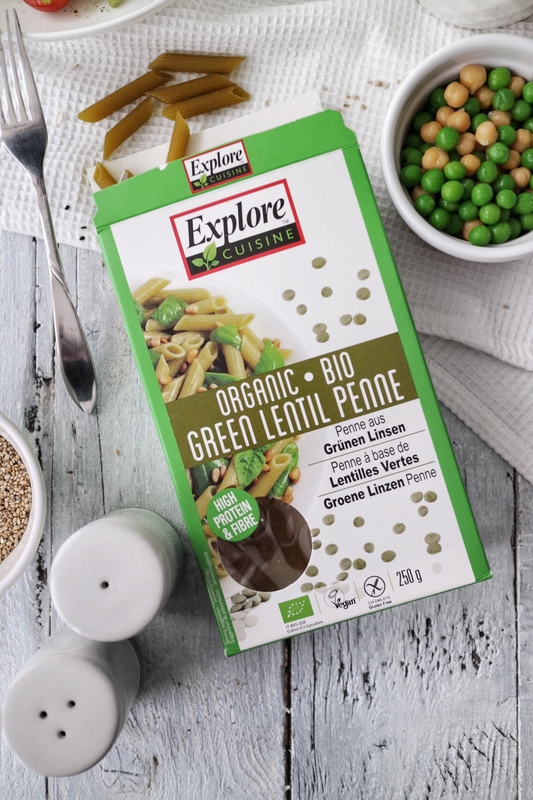 I recently created a recipe for them and got to try their lentil penne which was at least as delicious! It also had a really good bite to it – other than some gluten free pasta that just becomes a mushy mess. Can’t wait to try myself even further through the range! 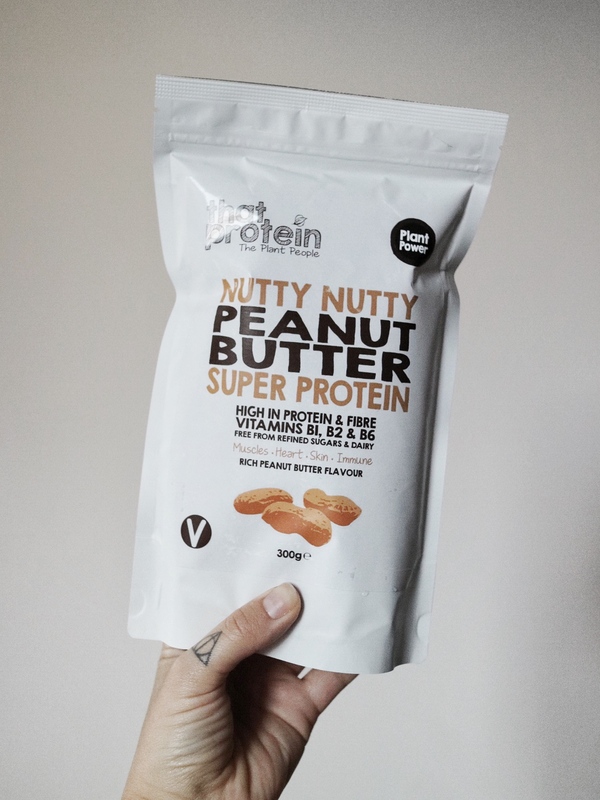 If you’ve been sticking around here for a while you probably know that I’m a sucker for anything nut butter related, so this protein powder is right up my alley! I’ve not tried it on it’s own yet, but it definitely turned my breakfast porridge into a peanut-y goodness! Oh my days. I’ve always been intrigued by Beetroot Ketchup and never having tried it, I always found it kind of a weird concept. Last month I got to try it for the first time at by chloe’s next to Tower Bridge – and as the universe really wanted it to happen: I received an entire bottle just days later as part of my Vegan Larder box! Also the reason I don’t have a photo of the bottle anymore – so apologies for the missing image here, but it just goes to show how dang tasty it was! 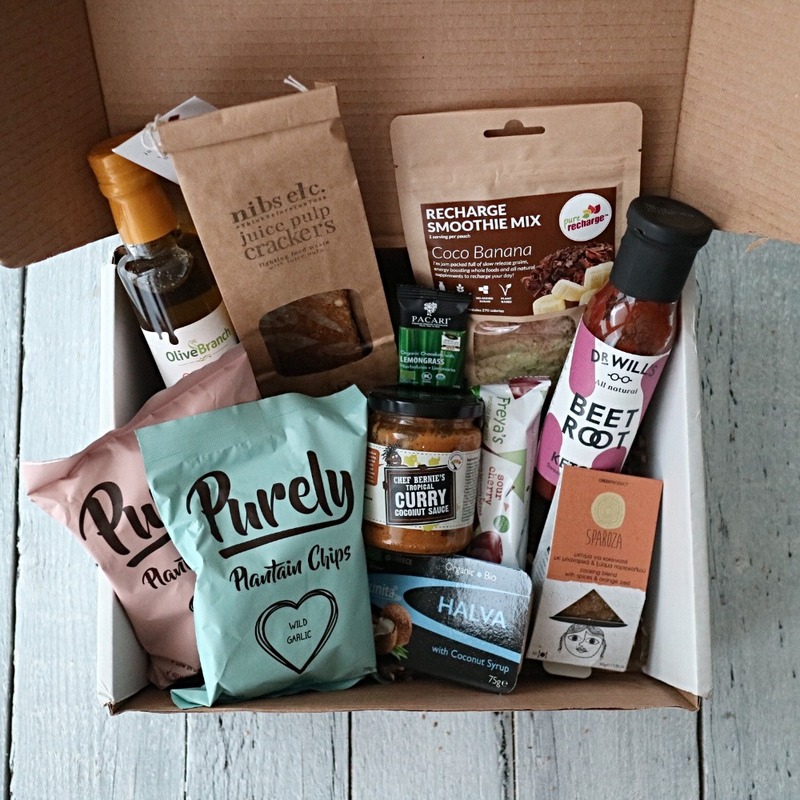 Well I know I just briefly mentioned it alongside the Beetroot Ketchup, but this new vegan subscription box really deserves it’s own slot on the favourites list! 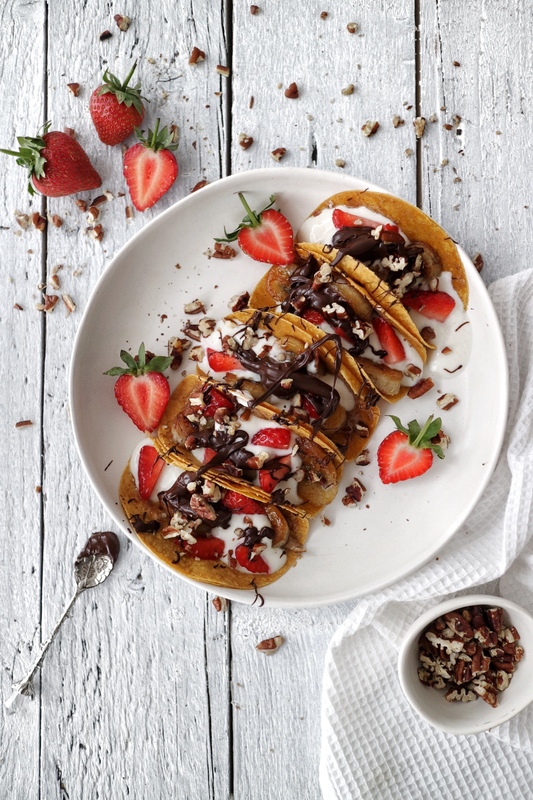 The Vegan Larder Box has only just launched their subscription service in the UK – delivering a box full of delicious vegan goodies to any plant-based foodie on the island! I’m still trying my way through the box but the Plantain Chips by Purely were super delicious and so were the Juice Pulp Crackers by Nibs (such a great idea to reduce food waste, and it was super tasty! They’re surely amazing with some vegan cream cheese or hummus on top, yum! I also really liked the Smoothie Mix by Recharge – it was actually my Sunday breakfast last weekend and fuelled me up until after lunch time! The rest of the box I am still due to try, but already can’t wait! Well either way: I finally managed to go in July! And it was even better than I expected after reading some mixed reviews. 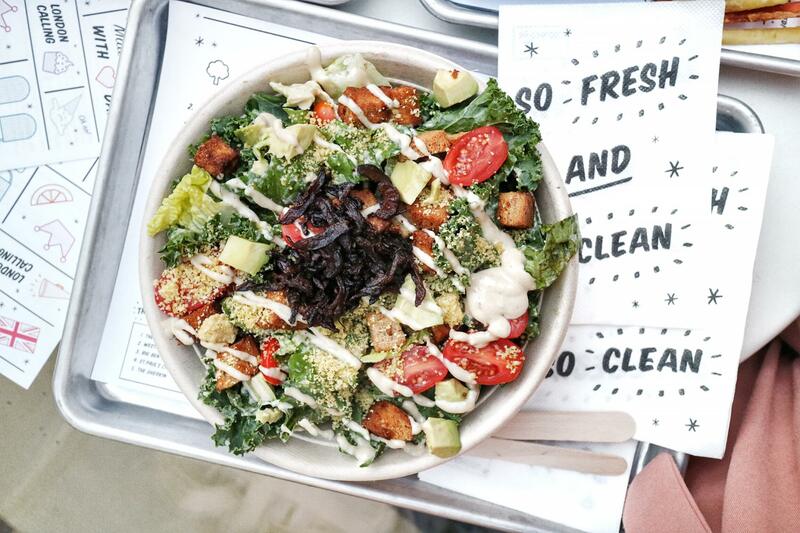 This vegan Caesar style salad was definitely my ultimate fave from the menu! I managed to try about 3-4 different things from the menu when Nick and me went, but I also can’t wait to try more – especially that Tofish & Chips, that they were unfortunately out of when I went there! What shall I be trying out next month? I love hearing your recommendations! Send me a message & let me know your current favourites!